A sparkling 18k white gold engagement ring with 8 stunning white diamonds. 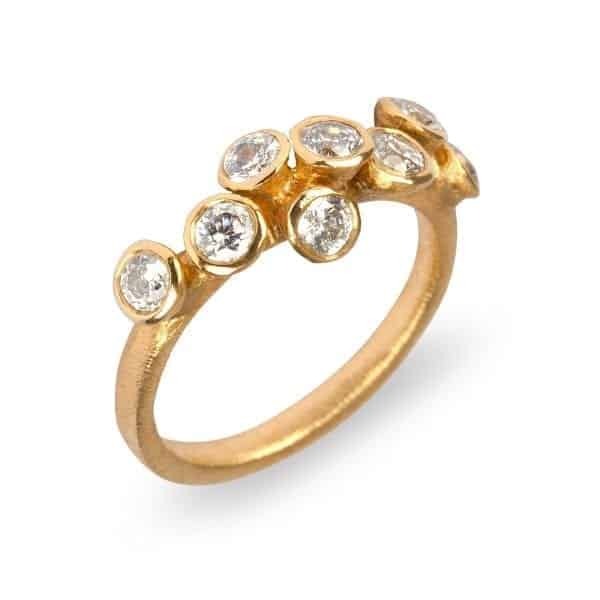 We thought you would like to know has been eyeing up our 18k Yellow Gold 8 Diamond Ring for some time now and has requested we bring it your attention. What's your question about 18k Yellow Gold 8 Diamond Ring? 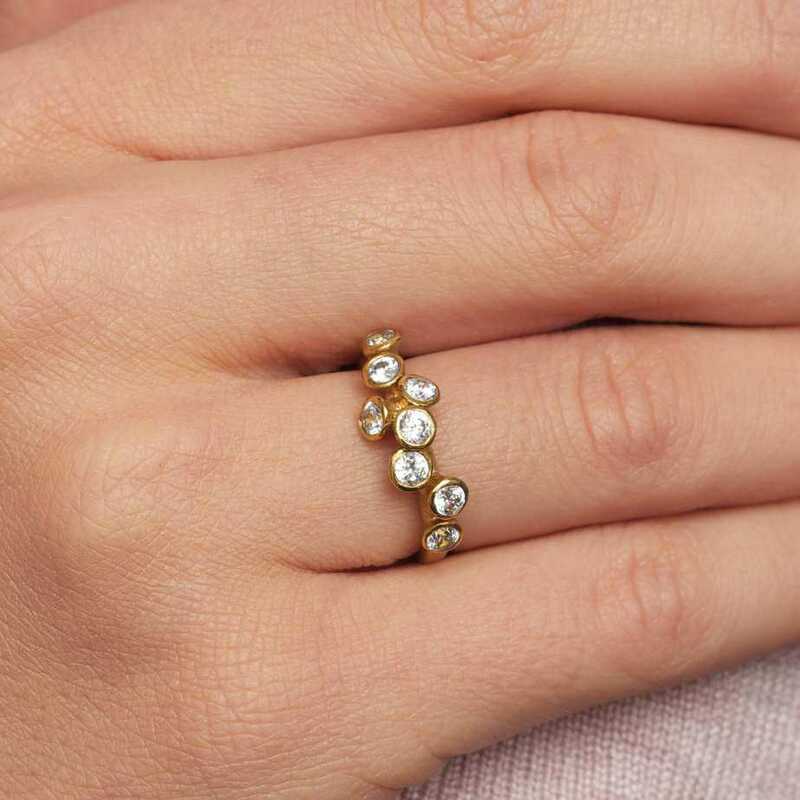 This stunning organic ring is set with eight bezel set diamonds. (Each diamond is 0.10ct, F, VS1). With its soft filed finish and the undulating, seemingly random pattern of the setting it is a perfect choice for those who prefer less traditional designs. Ring Size: K1/2. Band Width: 3mm. Profile: Soft Square. Setting Dimensions: 40mm x 11mm.